It was a welcome news to me to learn that one of the worlds largest and highest valued semiconductor chip makers, Intel, supports the Digital India Vision. It is heartening to know that Google, Nokia, Mark Zuckerberg and Microsoft are just few of the big companies supporting the vision of Digital Vision vigorously promoted by our PM. I personally know the value and need of Digital world which gives wings to your dreams. I am quite sure through its ‘Digital Skills for India’ and ‘Innovate for India’ initiatives, Intel along with the supportive government will succeed in nurturing and promoting technology as the enabler for creating a digitized India. Long before Modi Government decided to take the initiative of Digital India, I had chosen to take a digital initiative to change my own life. I have to confess that I messed up with few decisions, ‘very important decisions’ of my life. Few years ago, I found myself in a very sticky situation that did not make me feel happy about myself. That is when digital media came to my rescue like a knight in shining armor. There came a time in my life when I was overwhelmed with a feeling that I have not done anything much in my life. I had given up on my studies without pursuing graduation, did not have a stable job or financial independence to start anything anew. Moreover, I had to take care of a special needs child, which restricted my activities outdoors. It was very difficult to step the first step towards progress from where I stood at that stage. When at loss as to how to go about making a difference to my life, I discovered computers and internet. From a tiny village called Byndoor, I started my journey which literally took me around the globe to USA. Things did not work out just at a click of a button, when I logged on to internet. It all happened one step at a time, but miles were covered in no time. The first step for me was make sure I existed with my own identity. When women get married and move away from their home, somewhere down the lane that identity of who you are can be lost. For me it was more of self-assurance than proving my existence to someone else. That is when I decided to blog about my cancer experience, my life experiences and writing skills in a personal blog I created on Blogger. My whole life underwent a huge change with blogging. 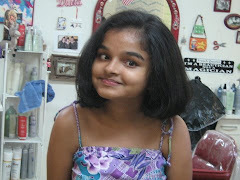 My first major encouragement and sense of accomplishment came by when I won a cash prize of 50,000 INR in a blogging contest. That was my first achievement in quite some years. That gave me enough momentum to pick up the strands and weave a beautiful dream for future. In later months there came along many more blogging contests prizes including the first prize of Dell Inspiron from Intel for their "My Favorite PC App" contest. Today, with the help of digital media I have a steady flow of income which has given me complete financial independence as a freelance content writer for websites. I could complete my post-graduation, since studying was easy with information available on internet. YouTube, interactive media and other study aids are way ahead of the lectures I had to sit through in my college days. My son and daughter have both equally benefited from the digital media. 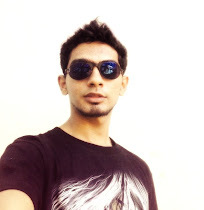 My son Rayyan pursues his animation career in Digital Juice Animations as an animator, a career he desired and loved. It is amazing what you can create with computers for entertainment with some effort. My special needs daughter takes her iPad as a window through which she looks at the world. She surfs on net, goes online window shopping (which turns into shopping at times) and keeps in touch with friends through internet. With introduction to digital world, she found a way to keep herself entertained. Working online, I look forward to high speed internet availability in India. It will make a huge difference to the output of my work. Secretly, I also yearn for the entertainment options it would open for us, because we depend on internet for TV programs viewing. 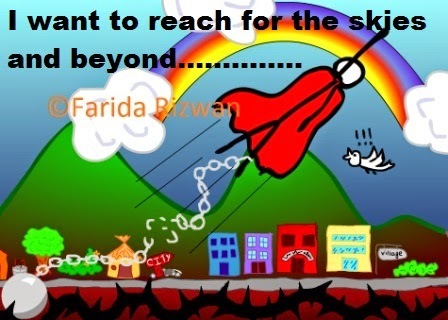 With the help of internet and digital media, you can reach for the skies if you have enough drive. That is just a few things about how digital world made a change in our lives. If this can happen to a family, imagine the impact digital vision would have on a country like India, which has un-trapped potentials hidden underground everywhere. Today India is divided into two halves of digital know-all’s and digital illiterates. When the bridge between these two sections is created, the country can see tremendous progress in short period. The main aim of Digital India is to reach out to the poor and underprivileged, who at present do not have right access to digital world. When e-governance, e-commerce and e-health initiative will reach the rural India, we will see an emergence of modernity in our country. Tackling corruption is also going to be a lot easier with rise of Digital India. The transformation will require more than the estimated just the Rs 1,13,000 crores as projected by the government of India. It will require the cooperation of Indian citizens, both the digital literates and illiterates to bring about the change. It is going to be possible only when all Indians work as single Pentium chip set to make our society a digital empowered in par with any developed nation of the world. The state governments which are constantly at loggerheads with the center, for once will have to move in tandem if the change is to take place. 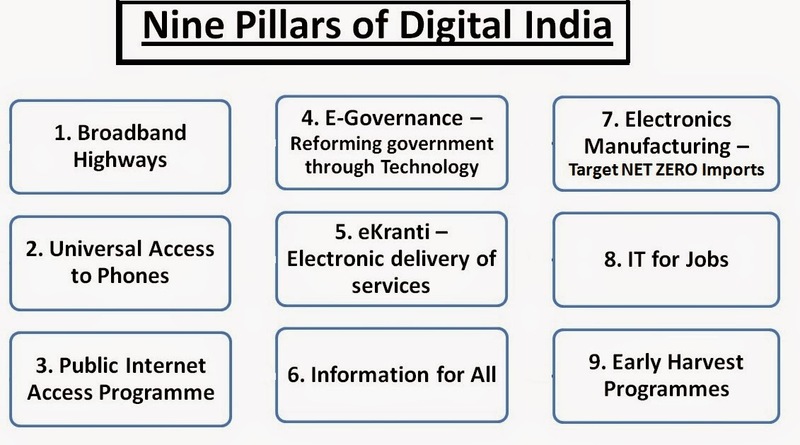 I am glad today that instead of arguing whether we should call it Digital India Vision or Digital Bharat Vision or Digital Hindustan Vision, the government is moving forward with the plan. That itself is a great progress for our country. Someday, Department of Electronics and Information Technology (DeitY) will join the huge group of deities in India, bringing in another holiday on our calendar. That will be one holiday I will celebrate and look forward to. Like Douglas Engelbart said, “The digital revolution is far more significant than the invention of writing or even of printing”. Let the revolution begin in India! Yours is an inspiring story and even I have benefitted a lot from Digital World. Hope it touches and changes the lives of many Indians.